Jae-Hyeok lives with his mother, his sister-in-law and nephew Min-Jae in a small Korean town. He is dating Yeon-Joo, while working at the local nuclear power plant. Meanwhile, Pyung-Sub works at the same nuclear power plant. He is worried about conditions there, but nobody in the government listens to him. 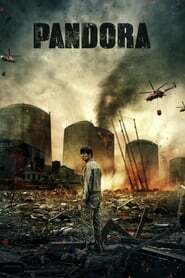 An earthquake strikes the small town where Jae-Hyeok lives and causes explosions at the nuclear power plant. The situation quickly spirals out of control, leading the entire nation to panic. To prevent another nuclear disaster, Jae-Hyeok and his co-workers return to the nuclear power plant.